Working hours	 24/7 unlimited activity. Available spaces	 Ability to expand and grow in space and communicate between buildings. Air conditioning	 24/7 air conditioning for no extra charge. 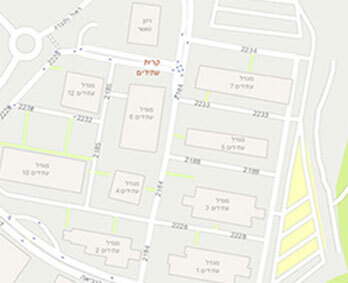 Ownership	 Shared equal ownership by the Tel Aviv Municipality and the Tel Aviv University. Meeting and conference rooms forum	 From 6 to 300 participants. Commerce and services	 A bank, hair salon, dental clinic, kindergarten, gift shop, convenience store, gas station, synagogue. Parking	 Numerous and abundant parking possibilities for employees and visitors. Accessibility via public transportation	 High frequency bus line from nearby cities and train stations. Security	 Environmental security control 24/7. Atmosphere	 A unique and pleasant park environment. Spaces for rent	 A wide range of spaces in different sizes. Large one floor spaces of up to 2,500 square meters. Restaurants	 Restaurant areas for employees.